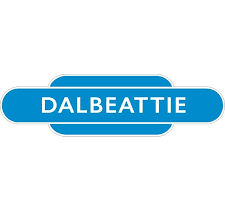 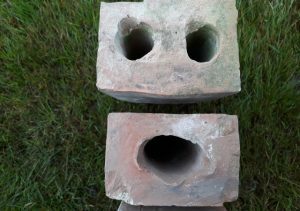 Found in a dump near Stirling. 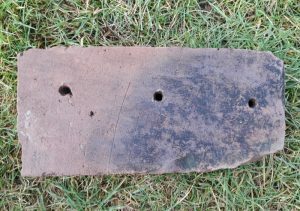 A 3 pronged tool has been used. 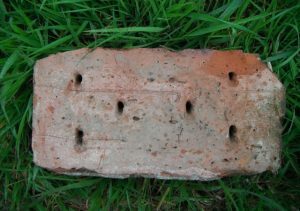 The prongs are flat and 3/4″ wide. 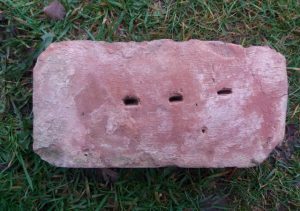 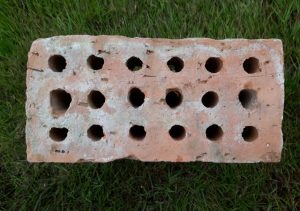 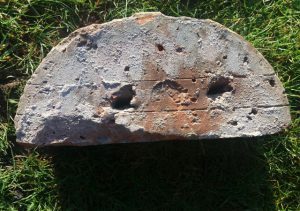 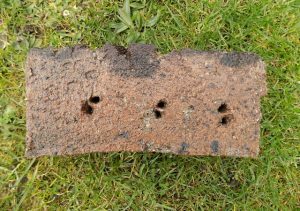 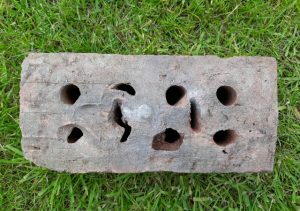 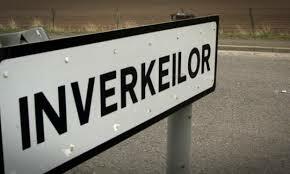 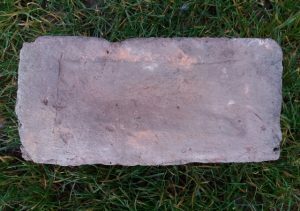 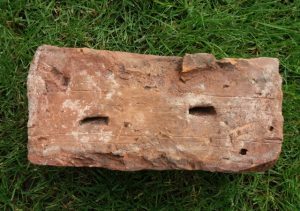 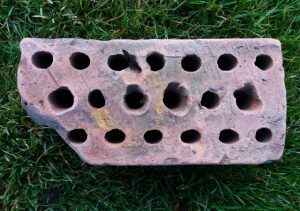 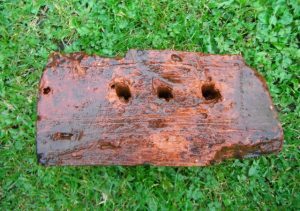 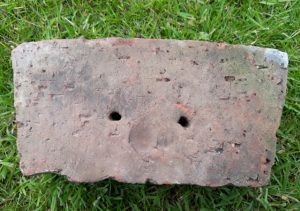 Found by Ian Suddaby – “An interesting oversized brick found by the river in Brechin, Angus. 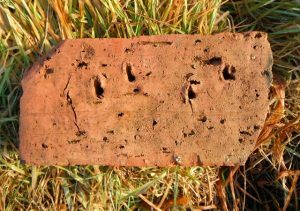 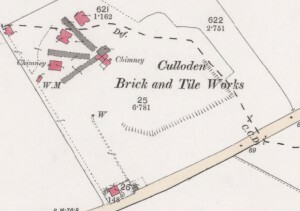 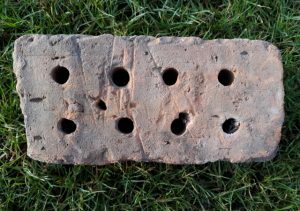 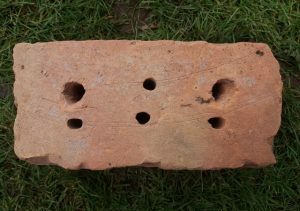 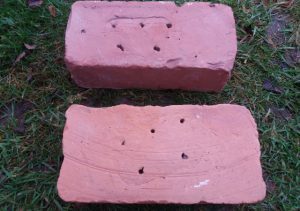 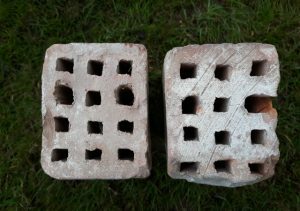 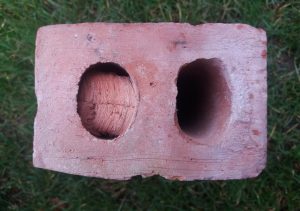 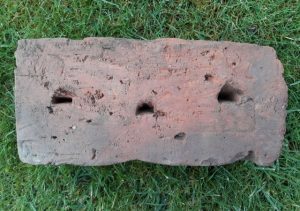 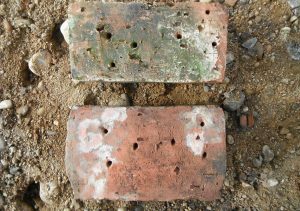 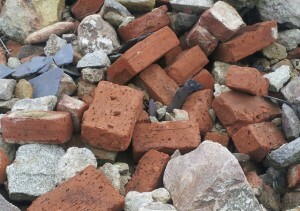 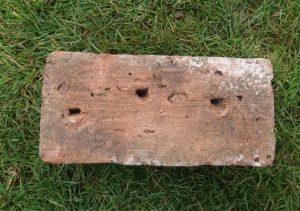 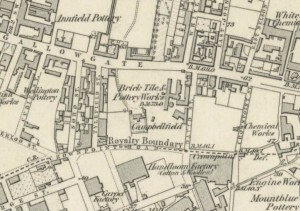 These two bricks or drains were found at the Old Muirhouselaw brick and Tile Works, Scottish Borders.